Los Angeles Lakers/TwitterLeBron James and the Lakers are a focal point of the NBA schedule. 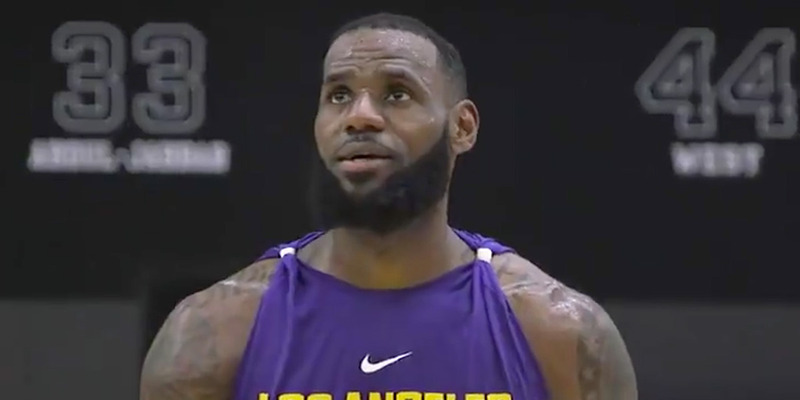 The NBA released the schedule for the 2018-19 season on Friday, and by the looks of it, the league is excited about LeBron James’ move to the Los Angeles Lakers. One stretch, in particular, from January 9 to January 22, features seven straight games on national TV. Last year, the Lakers played 36 games on national TV. It’s not a secret that the NBA profits when big-market teams do well. A frequent discussion in the NBA world is how the league would benefit from having competitive teams in major markets like Los Angeles, New York, Boston, Philadelphia, and the Bay Area. Having James, the biggest star in the NBA, playing for one of the league’s biggest franchises only stands to back that theory. With the Western Conference already boasting much of the league’s star talent, having James play for those star players more frequently means more primetime TV for the NBA.